Includes an eight-page full-color insert with photos from the film and much more! "In a wonder of a debut Palacio has written a crackling page-turner filled with characters you can’t help but root for. 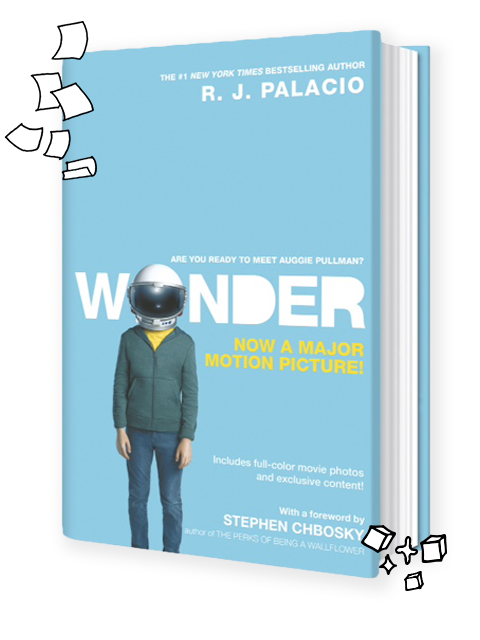 —Entertainment Weekly"
A special movie tie-in edition of R.J. Palacio’s #1 New York Times bestseller, now a major motion picture starring Julia Roberts, Owen Wilson, Jacob Tremblay, Daveed Diggs, and Mandy Patinkin. In a world where bullying among young people is an epidemic, this is a refreshing new narrative full of heart and hope. R.J. Palacio has called her debut novel “a meditation on kindness” -indeed, every reader will come away with a greater appreciation for the simple courage of friendship. Auggie is a hero to root for, who proves that you can’t blend in when you were born to stand out.